MoneyTec › Forums › Beginners Forum › Who is the best broker? This topic contains 9 replies, has 10 voices, and was last updated by FXGuru 3 months, 3 weeks ago. Okay, I think there is no “best broker”. It will all depend on whether the Forex Broker meets all the requirements that you are looking for in a broker. Just as it is said that “ones man’s meat is another man’s poison, so is the Forex Brokers. One trader’s best broker may not be your best broker. 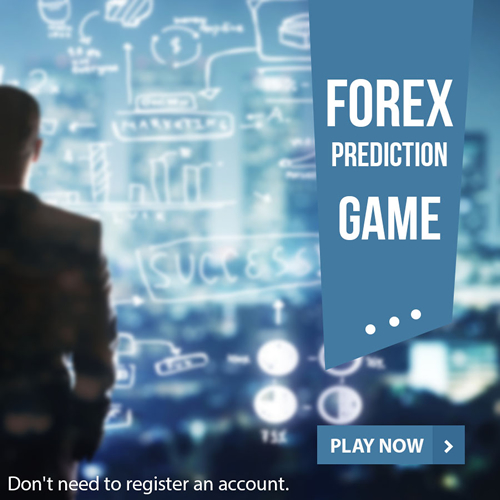 However, having said that, I also believe your success in Forex Trading will depend on how much your broker is willing to cooperate in terms of offering you the best possible services. I have heard traders ask for advice from their colleagues on which is the best broker to work with and in think that is good. However, I believe that you still have to sit back and look at what you want from a broker even after getting the advice from your fellow traders. I would say that the most important things to look for in a broker when choosing are whether the broker is regulated or not, the type of the broker, the minimum allowable deposit, maximum withdrawal amount and methods of withdrawal that the broker offers. If all these corresponds to what am looking for then I can go a step further and look at the reviews from the clients/traders so that I can choose the one with the best services. I completely agree on this. I also think in the same way. I don’t think there is anything such as BEST broker. Every broker is good in their own way and suited to someone. So, we just need to go with one that we are comfortable with and one that suits our style of working. Apart from safety, there can be so many different requirements for all that can change accordingly, so keep that in mind with selecting the broker. I don’t rely on one broker. I have my investment divided among 5-6 brokers. Currently, the BEST one out of all is Exness, as I feel they are pretty safe and secure. They have a very professional team which makes me feel good. Hence, I have the maximum portion of my investment with them while I do have the investment in other brokers as well like InstaForex, FreshForex, FPMarkets and few others. I believe this is a never ending discussion. Everyone thinks they have got the best broker and that is fair too. I won’t work with any broker if I don’t think it is the best I can get. But the reality is that most people often end up with very average to ordinary brokers. So, it is better that we look at security instead of anything else, as that is what will mostly get us towards the BEST broker in house. I find it very surprising that many people look after best broker. If you are good enough then even the worst broker will turn into manageable. But if you are not with a good broker then you will have a lot of issues and problem. So, that is why we need to be good enough our self, it will boost us in a major way. If we focus on good broker only then we might just skip the main point. This is just never ending thing. Everyone will come up with their broker best theory. Just go and pick a regulated broker. My preference is ASIC or FCA regulated broker. I have investment on many brokers that includes the one mentioned above like Exness, FreshForex. But, I mostly use them because of the bonus and only with 200-300 USD, as that’s more suited. Alex, I consider Exness a pretty good broker but I don’t like FreshForex at all. I traded with them a few months back, I used their 101% bonus scheme and made heavy profits but all the profit was removed and so was the bonus. The only thing left was my own amount, which I was lucky to be able to take out. So not a worth sharing experience with them. Agreed there Alex. I too like Exness a high quality broker. I have been working with them for last 6 months and have absolutely no complains. I don’t really look at bonuses or all that, I just want comfort and that comes with no manipulation and fast payments. Here, I get zero manipulation plus Instant payments, so really not much else I could ask for! I don’t know and little I care to know about it! I only focus on my game plan and way of working. I believe that is more than enough of the thing, if we have that in place, then we should be more than ready to make money. The selection of broker is not tough for me because I only look at top 3, I don’t look outside that at all. I have no doubt with saying FreshForex. They are one of the most reliable and trustworthy companies out there. They are servicing since last 13-14 years with having won countless awards for their achievements. It’s very easy to pick them as the best and more so, the facilities are just fascinating with stuff like 200% Deposit Bonus, it makes them so likable.